When was the last time you bought a can of soda from the mall? Exactly. 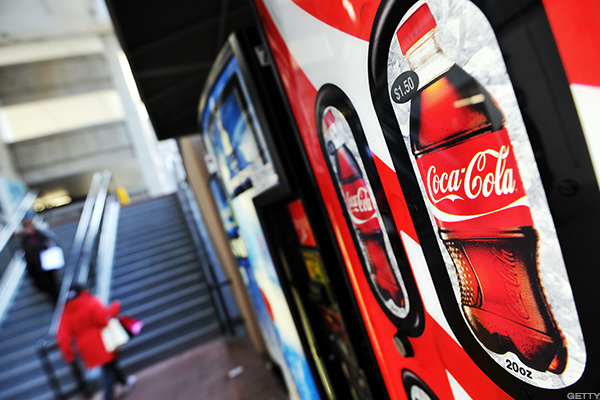 That Coca-Cola (KO - Get Report) vending machine in the middle of the mall could be collecting dust as more people shop online, which probably isn't helping the soda giant's bottom line by any means. "If people are going to malls less because they're doing more shopping for clothes online, then we don't need as much equipment in malls," Coca-Cola's new CEO James Quincey said in an interview with the Financial Times. "The way they shop is changing and affects where we need to be." Judging by the state of retail at the moment, Coca-Cola will have far fewer vending machines in malls in coming years. So far in May, announced store closings are nearly twice that of this time last year, while announced openings are up 20%, according to new data from global think tank Fun Global Retail & Technology. Overall, closings have been announced for 3,296 stores this year, up a disturbing 97% year-over-year. Most of the shuttered stores have come from the department and specialty store categories. "The industry is in the middle of a major disruption, but there are bright spots, including Bonobos' commitment to physical retail. As we've seen, some retailers are continuing to expand, even as store closures are up markedly from 2016," said Fung Global Retail & Technology Managing Director Deborah Weinswig. Even Coke isn't immune from weak mall traffic. In February, J.C. Penney (JCP - Get Report) announced a plan to shut down 138 underperforming stores. The store closures, which are poised to be completed by July 31, represent 13% to 14% of J.C. Penney's current store base and less than 5% of annual sales. Meanwhile, Macy's (M - Get Report) and Sears Holdings Corp. (SHLD have continued to shutter lagging locations, which in many cases is the final nail in the coffin for a particular struggling mall. In total, more retailers have filed for Chapter 11 protection in 2017 alone than in the entire 2016 year, and about 20 more, by TheStreet's count, have announced major store closures. "The U.S. is grossly overstored," Vornado CEO Steven Roth penned in his recent annual letter to shareholders. Added Roth, "I do not believe we can grow our way out of this mess," he wrote. "I believe the only fix for brick and mortar retailing is rightsizing by the closing and evaporation of, you pick the number, 10%, 20%, 30% of the weakest space. This very painful process will surely take more than five years. It will also create enormous opportunity for those with the capital and management platforms to feed on the carnage."